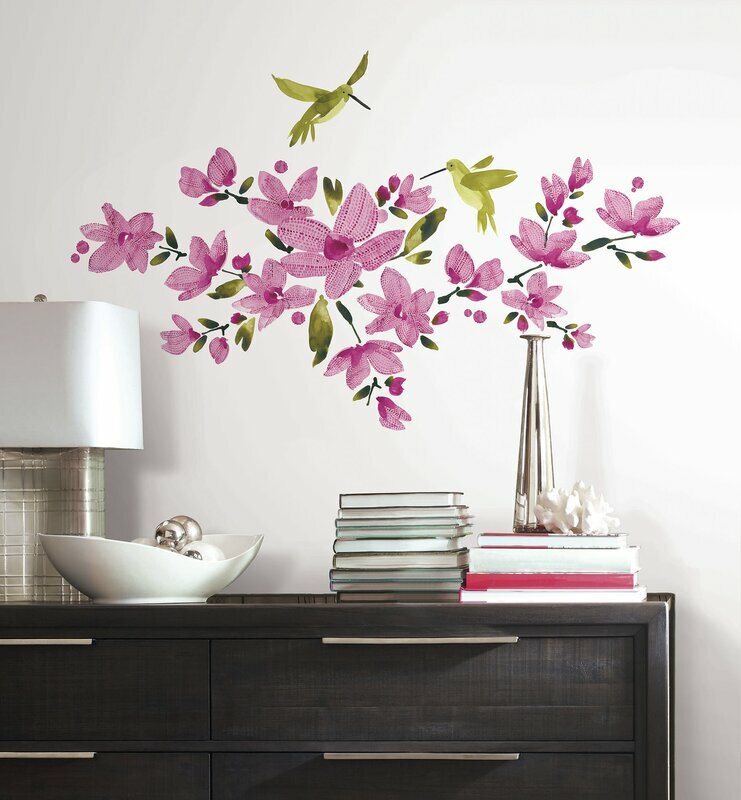 Flowers mean Spring and wall decals are a breathtaking way to invite Spring into your home. Now that Spring is finally springing and we’re seeing green leaves and flowers at last, it’s time to brighten up our homes with some floral decorating ideas. 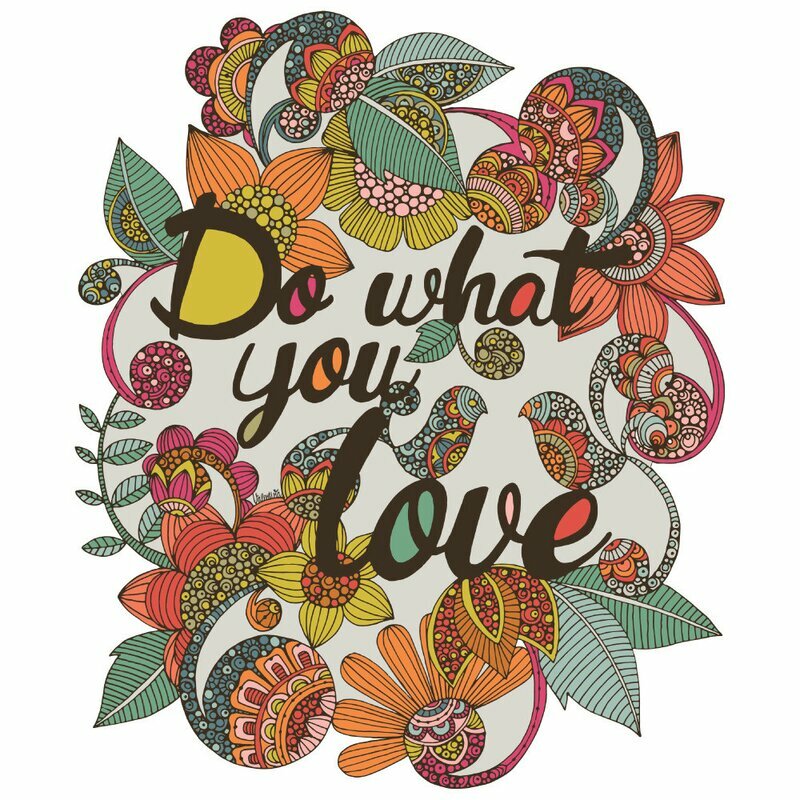 Floral wall decals liven up your home with glorious, colorful wall art after a long Winter and the holiday season. 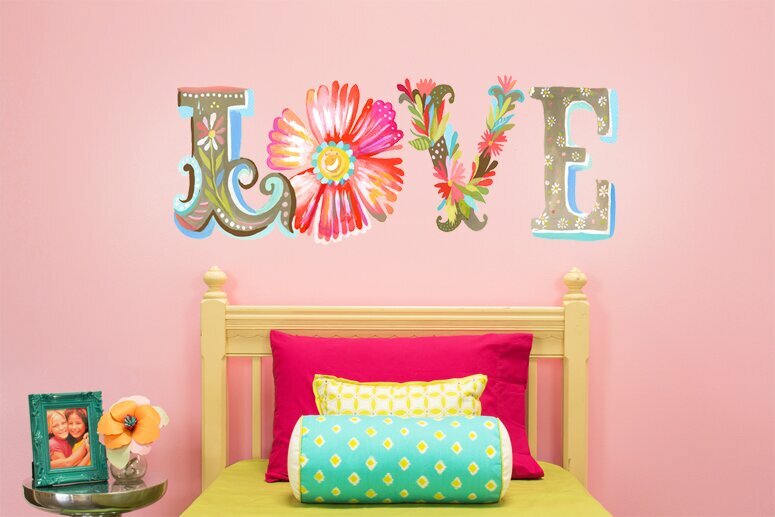 Bright colored flower wall decals spread smiles for miles! 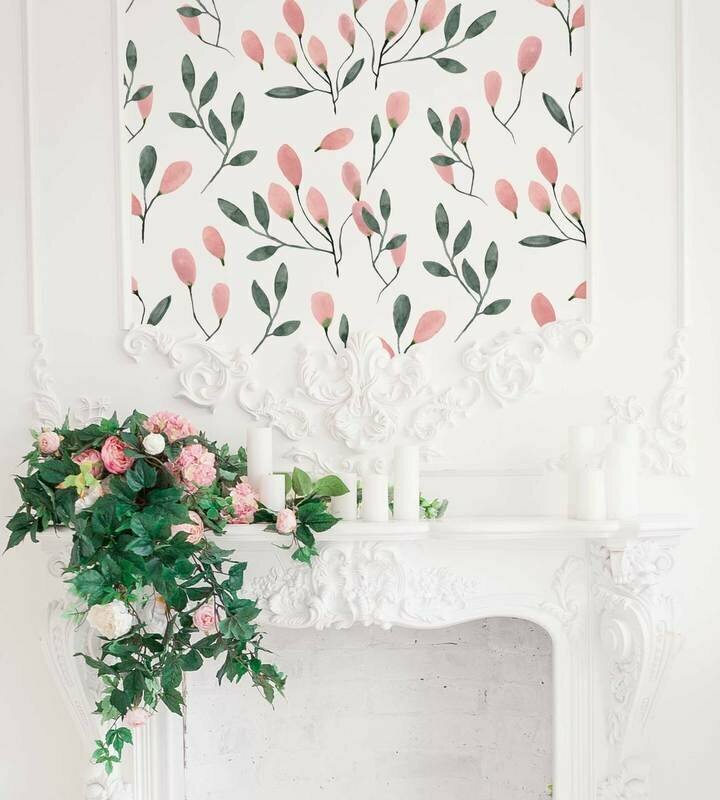 Just in time for Spring and Summer, this amazing floral wall decor will brighten up any room and add a splash of personality and style. 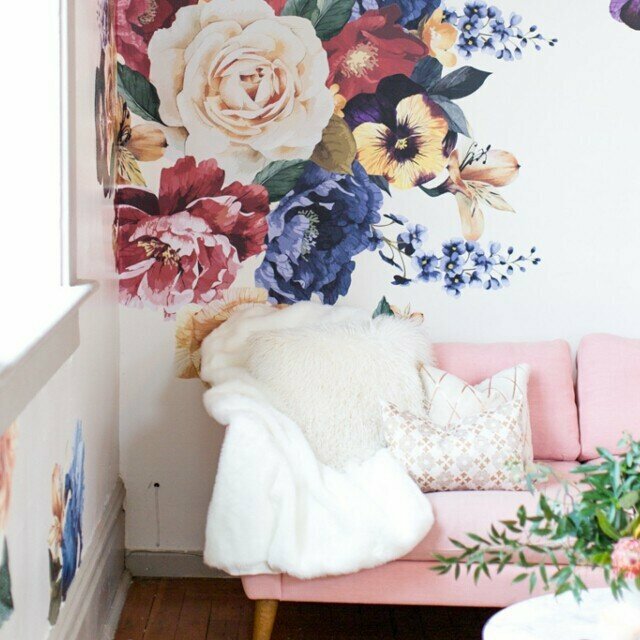 I just love the idea of using some of these floral wall art in my home, knowing that I can change them anytime I like. When you’re ready for Summer decorating or just want a change, it’s easy to remove these wall decals and use different ones. What a great idea! Floral wall decals are just the thing for giving your walls a Spring spruce up whether you choose silhouettes or bold splashes of color. 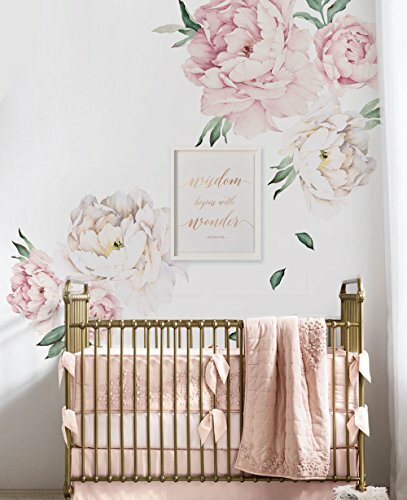 It used to be that wall decals were just for decorating kids’ bedrooms, but every time I check out wall decals on my favorite sites, the variety just blows me away. Big bold patterns or soft, pastels ~ we can create all sorts of Spring decorating ideas and have a wonderful time doing it. You can almost smell the flowers! 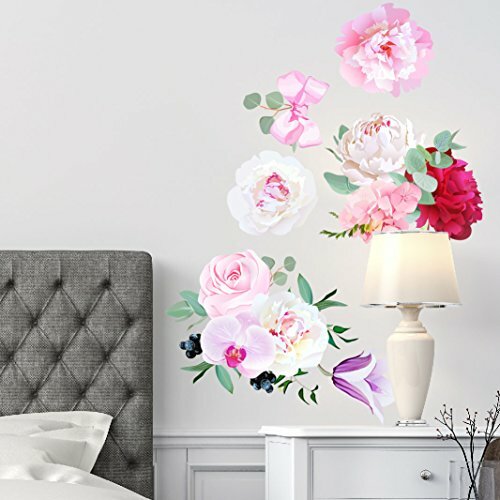 I think you’ll love these floral wall decals. Isn’t this a gorgeous piece of wall art? You almost wouldn’t guess it’s a wall decal! As I was saying, floral wall decals used to be used mainly to decorate girls’ bedrooms. That’s just not true anymore. 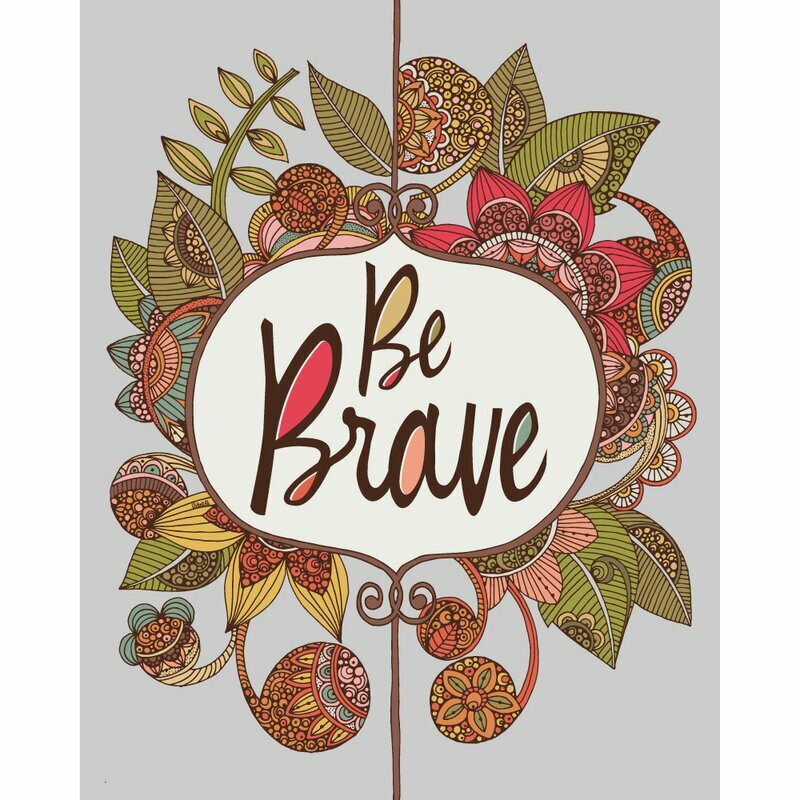 This stunning Inspirational Floral Wall Decal would look wonderful in the entrance to your home to greet your visitors with a warm welcome and give family members encouragement as they leave home to start their day. 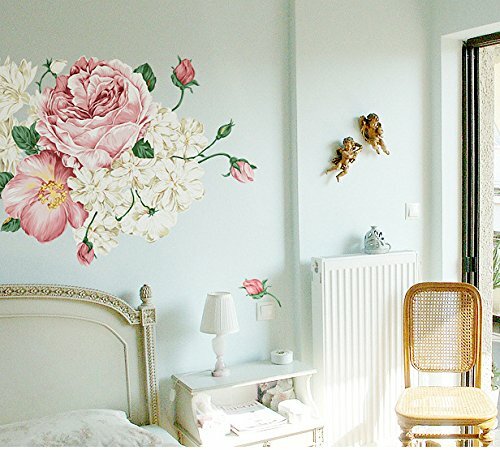 The colors on this floral wall decal work in the living room as well as the bedroom. 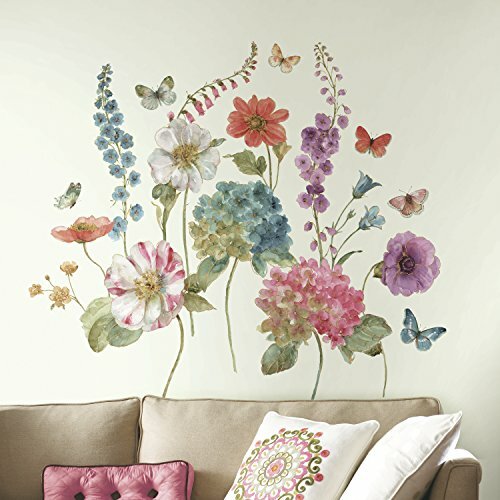 This is just one fabulous example of the floral wall decals available for decorating your home. Nothing brightens up a home like flowers in Spring, but we all know how expensive fresh flower arrangements can be for decorating. Not to worry. 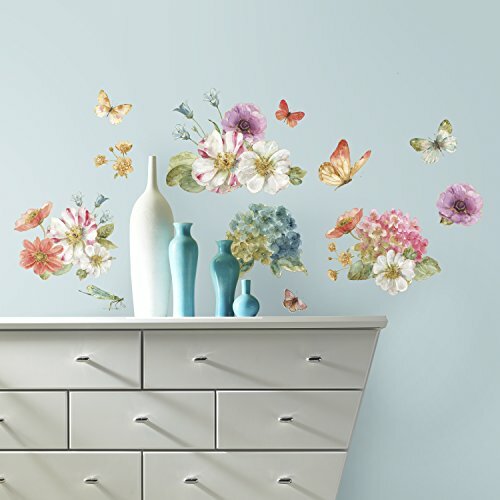 There are lovely wall stickers with whimsical flowers for a fantastical fantasy of an indoor flower garden. Or if you prefer, there are some pretty realistic floral wall decals available too. It’s amazing! 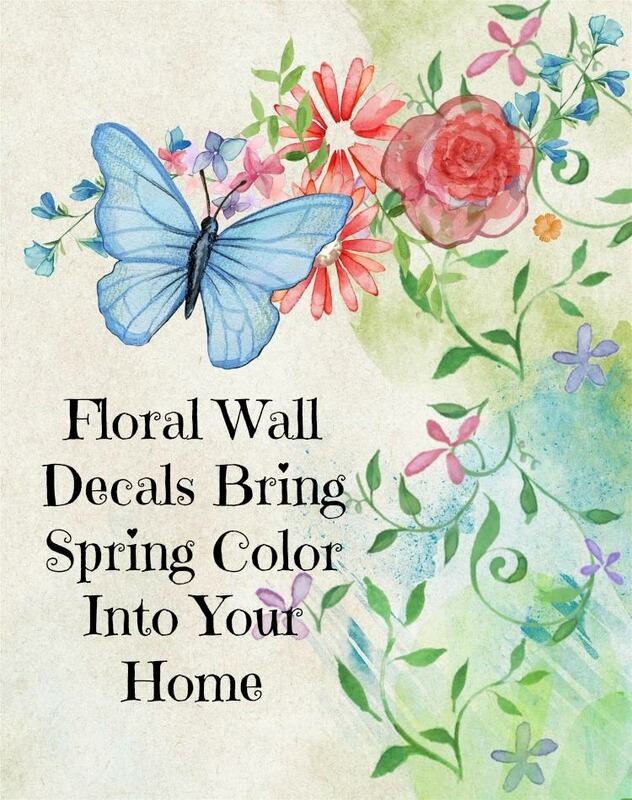 Adding new life to your home in Spring is just so much easier – and more fun – when you use flower wall decals to add focal points and color to your wall decor. After a long, cold and dull Winter, the extra colors just fill my heart with joy. I love being outside in Spring and with these floral wall art decorating ideas, I can bring the outside inside with me. 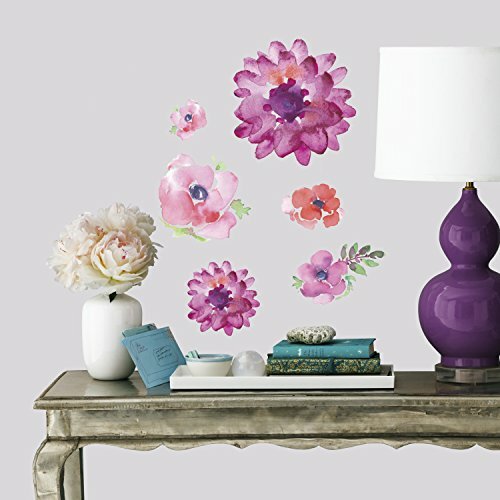 I hope you like all the fun floral wall decals you’ve seen. There are lots more to choose from when you click through any of the links. Enjoy and Happy Spring! 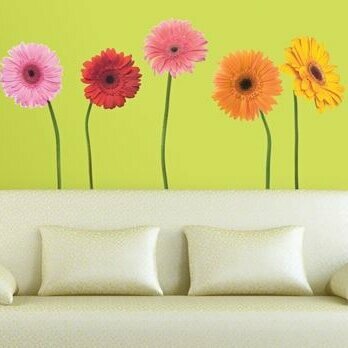 Floral wall decals can be used in any room of your home or office. They are easy to apply and remove, and you’ll love the look they add to your décor. 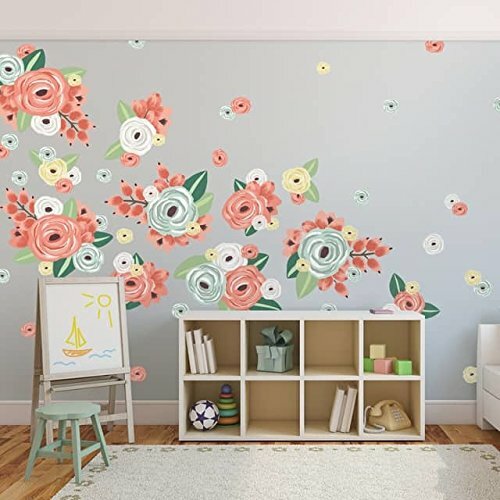 You can choose from small or large designs in a variety of styles and colors, and eBay is a fun way to shop for your favorite floral wall decals! Love the idea of wall decor and murals. Very inspiring selection you have featured here, thank you.